It was retired in 1994 then purchased and restored by a group of preservationists. However, that wasn’t the end of its distinguished career. On 9/11, the John J. Harvey was called back into service after the water mains failed at Ground Zero. Its story, captured in the 2002 children’s book Fireboat: The Heroic Adventures of the John J. Harvey, was my boys’ first introduction to the terrible events of 9/11. It gave my wife and me the opportunity to discuss the attack within the context of the heroic actions of this boat and its crew. 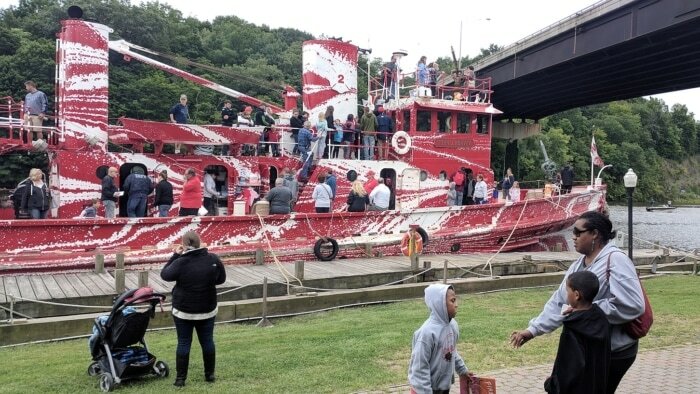 So when I found out it was going to arrive at the nearby Hudson Maritime Museum on Sunday the 9th, I made sure we’d be there. BOATLIFT, An Untold Tale of 9/11 Resilience – A 12-minute documentary detailing the massive maritime evacuation of downtown Manhattan during 9/11. This effort exceeded even the famed Dunkirk evacuation during World War II. In the aftermath of 9/11, more than 500,000 people were evacuated by over 200 vessels, mostly private, in LESS THAN 9 HOURS. It was a remarkable display of the human spirit and heart in a time of crisis. I was in NYC on 9/11 and I wasn’t aware of the incredible scope of this effort. Watching this inspired me to learn more so I’ll be reading Dust to Deliverance: Untold Stories from the Maritime Evacuation on September 11th. 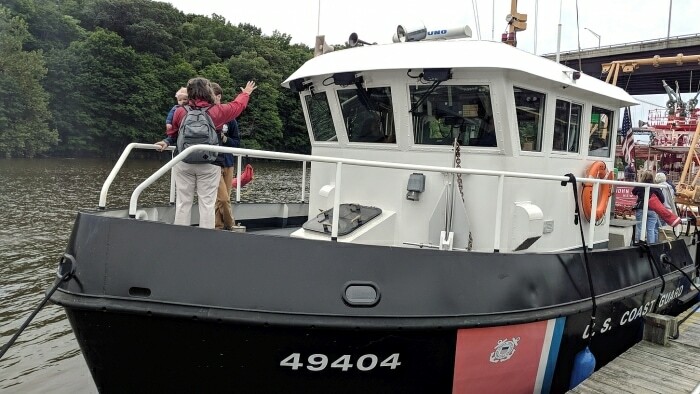 The 49′ Coast Guard BUSL – a Buoy Utility Stern Loading vessel used in maintaining inland navigation aids. 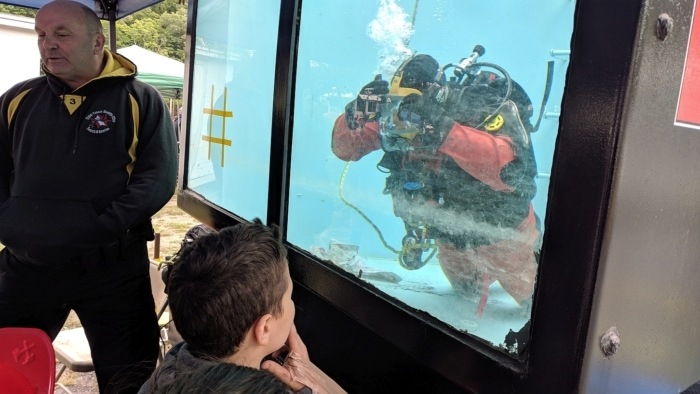 Dive Team Demonstration by the Ulster County Sheriff’s Office – Kids of all ages really enjoyed this as the officers discussed what their team does and demonstrated with a diver in a portable tank. The museum is an incredible resource on the history and importance of maritime life along the Hudson River Estuary. 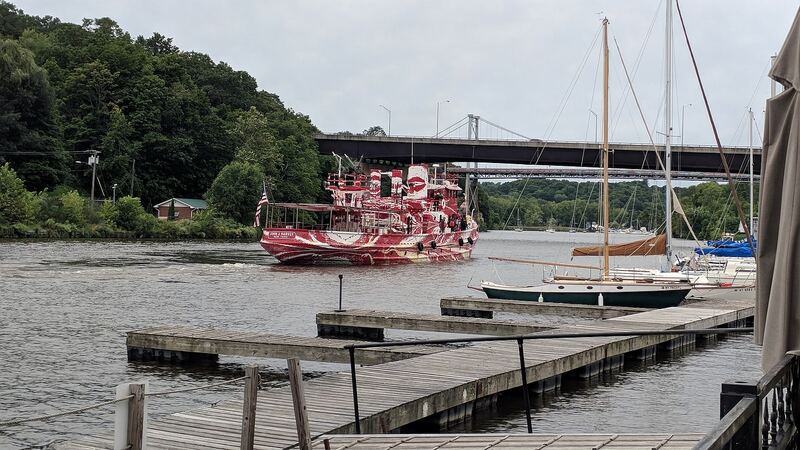 Historic vessels frequently visit and are available for the public to tour and enjoy. In addition, it is home to the Riverport Woodenboat School which seeks to preserve and teach the craft of boatbuilding. It is also home to the Riverport Sailing and Rowing School with programs to teach young people about these subjects. For those in the area with an interest in boating and life on the Hudson, I strongly recommend a visit.